Material Madness Drives Tech Geeks All Way Through Google I/O 2015! 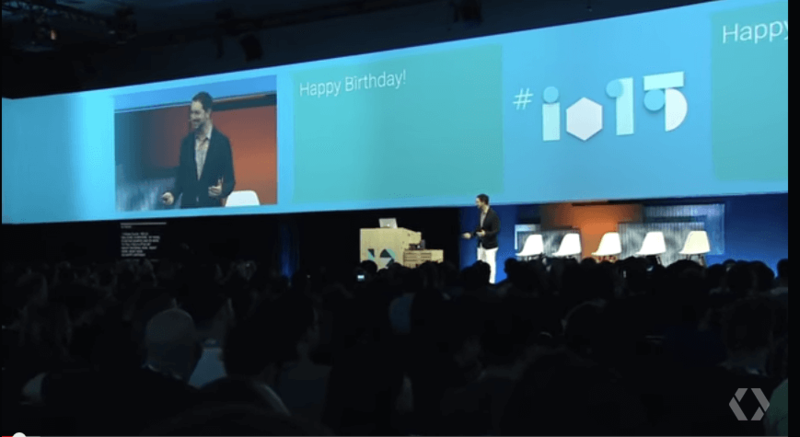 Google’s 8th annual developer conference – Google I/O was truly full of material design madness. From early beginning, Google started embracing the power of material design long before the actual event kicked off. The tech giant overhauled its Google IO events website with material design elements and hinted big days are ahead for its revolutionary design concept! Let’s take a quick look at what Google announced for material design and polymer fans at its 8th annual developers’ conference, Google IO 2015. Google unveiled the concept of Material Design for the first time at last year’s IO, Google I/O 2014, in time of speculations when the massive class of Android developers were expecting something big for Android but ended up getting the surprise gift called Material Design and today when Material Design is turning 1, Google announced the biggest update to material guidelines so far and also announced Material Design Showcase and Awards for the best in class designed apps that embraces material design at its best. To help developers with designing beautiful material design apps, Google unveiled a set of material metrics reference that’s gonna help designers to understand and implement material design measurements and values for landscape and portrait orientations across the range of devices and screens. The Material Metrics Reference is a chart with list of devices, their platforms, screen dimensions, aspect ratios and lot more useful stuff that you’d need to take care of while designing app. Google also announced that its Material Design library will now have backward compatibility and will support till the version 2.0. The newly released support library ‘Android Design Lib’. The new support library allows you to take both the core elements have material design through the previous versions of Android and also gives you truly turnkey encapsulated implementations have all the major material design elements. For all the Android and Material designers, the big announcement was, of course the announcement of Polymer 1.0! Google’s Matthew MacNulty announced the launch of Polymer 1.0 at the Polymer and modern web APIs: In production at Google scale session on 2nd and last day of Google IO 2015. 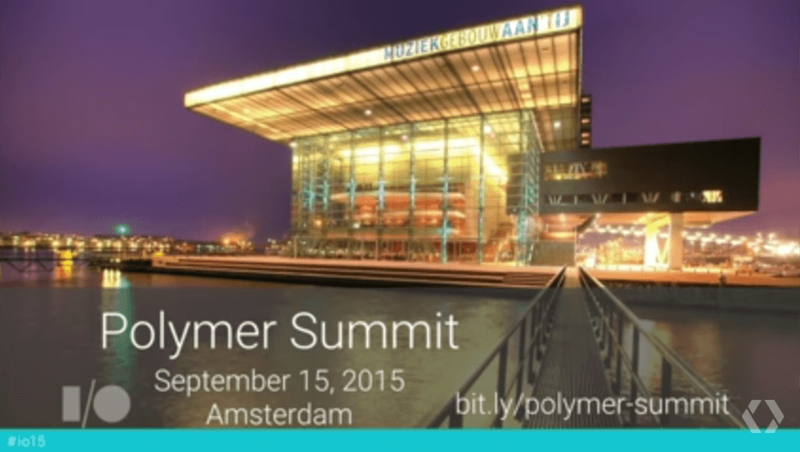 See official Polymer 1.0 announcement blog for more. 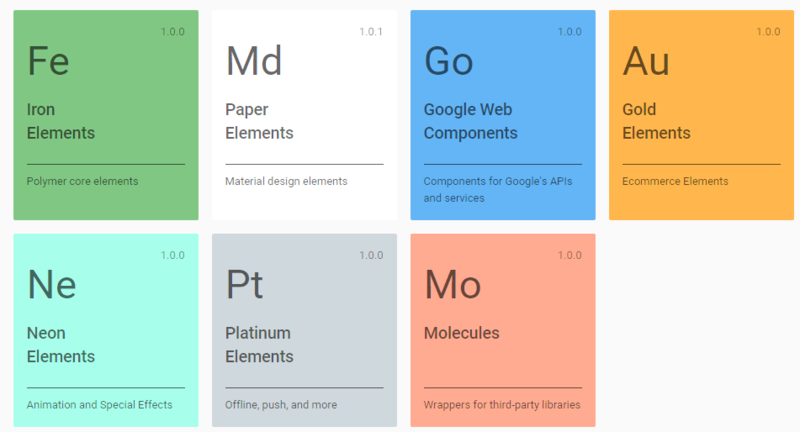 In addition to newer version of Polymer, Google also released new Polymer starter kit and catalog that will help you learn and play with all of the new paper elements and other Polymer elements and allows you to build materialized apps. You can download the Polymer Starter Kit from here. Learn more about Polymer Catalog here. Google also released some set of resources for material designers that includes ready-made set of icons, tools for modifying Floating Action Button (FAB) and tips on how to design with material design, without losing brand identity. Just in case if you are wondering how big the impact of Material Design has been in past one year, Google said, one-in-three apps on Google Play store now embraces material design concept. Pretty cool for just one year old baby! Paying off all the hard-work of all of the developers across the world, Google also announced that they are going to host the first ever Polymer Summit in September 2015 at Amsterdam. Details can be found here. Conclusion: With all these glittering, shiny announcements being made, I could only say that Material Design Is Still Evolving!